From snappy Strathspeys to heartfelt airs, from rip-roaring reels to chirpy jigs – theirs is the perfect synthesis of the modern and the traditional. More intimate than a band, Trad duo, Rachel Hair & Ron Jappy, embody a special chemistry. 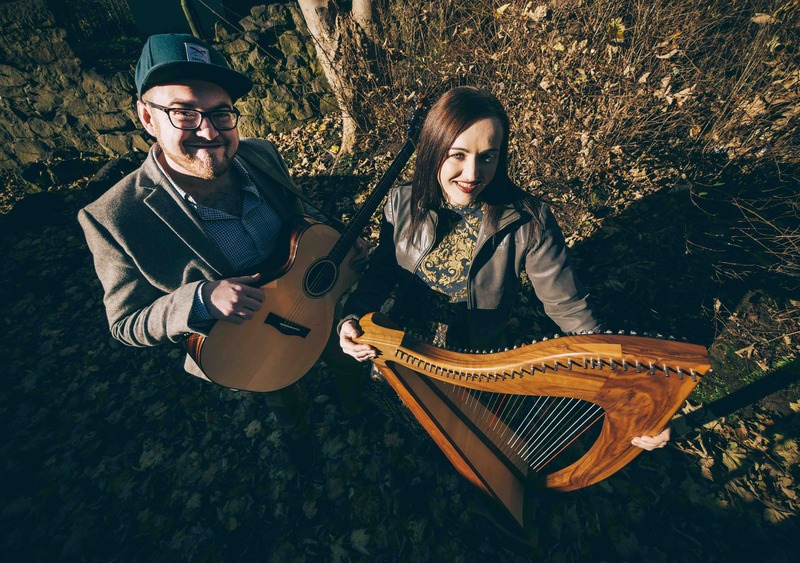 Purveyors of Scotland’s most ancient and contemporary instruments (clarsach, Gaelic for Scottish harp, and acoustic guitar, respectively) these two halves created a whole in September 2017: a subtle ying-yang between spine-tingling clarity and virtuosic drive. As individual musicians, the award-nominated dyad (hailing from the north of Scotland) spread their influence far and wide across the globe. As a pairing who tailor each performance to the needs of their audience, no corner of the world will go untouched by their rootsy charm.